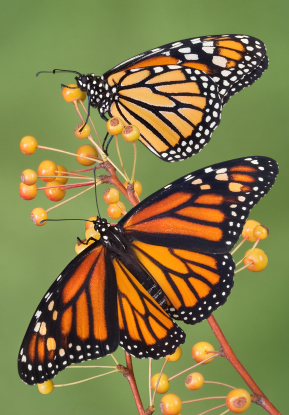 Although Monarch butterflies may well qualify as one of the most beautiful and majestic of butterflies on the planet today, entomologists, students and enthusiasts diligently persist with their studies to bring out several more interesting facts about them to the world. Here are some of those interesting data. 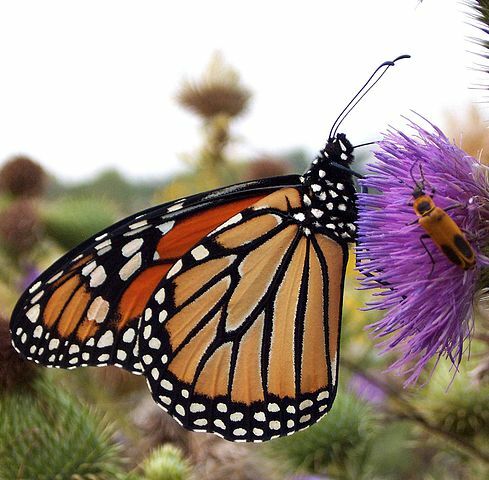 Among the two species of Monarch butterflies, the one in North America differs from the one you will find in South America, but the Caribbean is home to both species. You can also see them in Australia, New Zealand, and several Islands lying between Australia and Tahiti, in parts of Europe and in Hawaii. • The Monarch butterflies go through prolonged stages of metamorphoses, starting with its larva or caterpillar, shedding or molting its skin an amazing five times before the pupa stage You can see a diagram of the monarch life cycle that you can color in here. • In the fifth instar, 10 to 12 hours before shedding its skin for the fifth and last time, the Monarch caterpillar spins a silk for it to hang. After some initial wriggling the pupa skin hardens into a protective covering for the evolving monarch butterfly inside it. 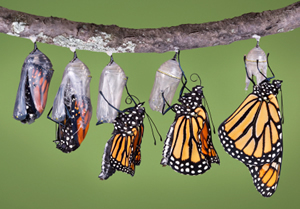 It is really strange that the four generations of these butterflies are constituted by 4 separate butterflies that complete the 4 unique phases in just one year. After this, they restart the same cycle, commencing with the primary stage of the first generation. • Similar to the migrating birds, the monarch butterflies use the clear advantage of updrafts of warm air, called “thermals" and glide as they migrate, to preserve the energy required for flapping their wings all the through the long 2500 mile voyage from the Great Lakes in Canada to the warm Central Mexican Oyamel fir forests in the Michoacan hills. They rest there through winter and then complete their migration Northwards in search of milkweed plants in the Eastern United States. 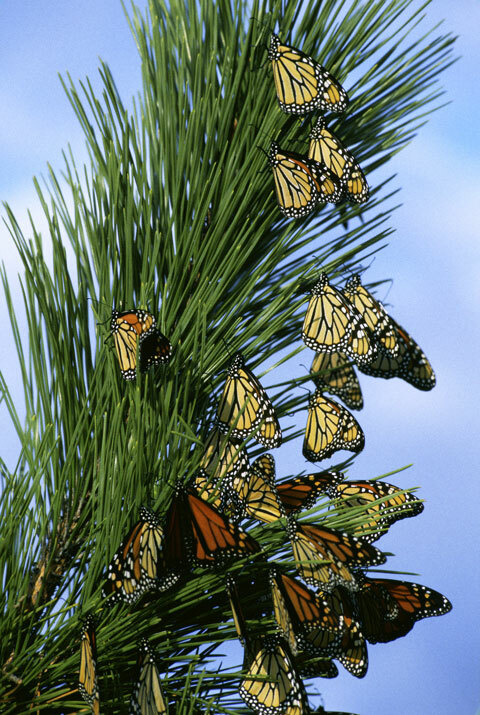 • The Mexican authorities, In 1986, converted 62 square miles of forests in the Sierra Madres to the now renowned Monarch Butterfly Biosphere Reserve, home to hundreds of millions of Monarch butterflies during winter. The government further extended the reserve area to an area of 217 acres in the year 2000. • Local well meaning organizations who share a love for the Monarchs are sparing no efforts to extend all help to the government in this wonderful conservation effort.